“There certain spots along that river that are certainly spiritual, and you can feel the presence...The river is the river, it’s our bloodline, it’s the power of who we are,” said Aunty Ann Weldon in her oral history. Aboriginal people have lived along the Cooks River for more thana thousand generations, watching the lower river slowly take form over many millennia. They were impacted greatly by the arrival of Europeans, but Aboriginal people have continued to visit and use the river since that time. 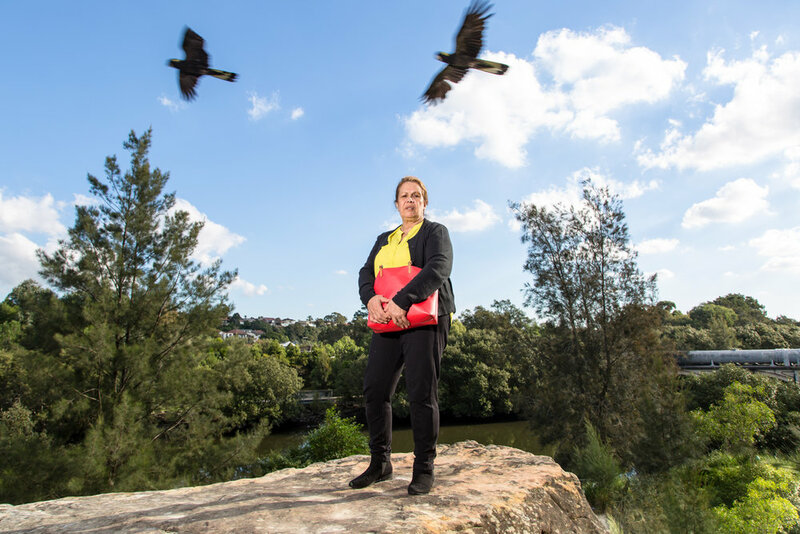 In recent decades, Aboriginal people from other areas who have come to live along the river have developed a strong sense of custodianship for Aboriginal heritage and the environment. It remains a greatly valued river. The exhibition highlights both traditional and migratory connections to the Cooks River and also explores custodianship that developed and continues today and the issue around its name. Through the visual platform of photographic portraits shot on the river, these landscape portraits are combined with video and sound. Milgate incorporates the oral histories of the 12 protagonists into the video itself. Visually meditative, the video slowly drifts as it was the tide transferring painterly abstraction photographs layeredwith videoed river extracts. Emphasizing the multilayers and the depth of connectivity felt when talking about the river and country. From start to finish the voices carry you the entirety of the river, exiting the mouth into Gamay/Botany Bay. The Cooks River ? work is an immersive piece that quite literally takes you along the river, with the recollections of those people with a deep connection to it. In 2017, Stirrup Gallery in conjunction with a large forum addressed by leading Aboriginal scientists and academics sharing insights into the Cooks River system and how best to manage it. Bankstown Art Centre featured the work for six weeks in the spring of 2017. Many patrons where astounded by the imagery and the depth of custodianships felt by the protagonist. In 2018, Cooks River was shown at 107 Projects in Redfern. The patron’s entry and engagement was doubled in comparison to that other exhibitions held in the same space. The Cooks River is a commissioned work funded by the Australian Government through the Cooks Rive Alliance. The Alliance wanted to know more about the Aboriginal history of the catchment in order to provide a narrative history of the Aboriginal use of the catchment from ancient times to the present day. Asher Milgate recorded 12 oral histories and photographed portraits to complement the written history compiled and presented by historian Dr Paul Irish.